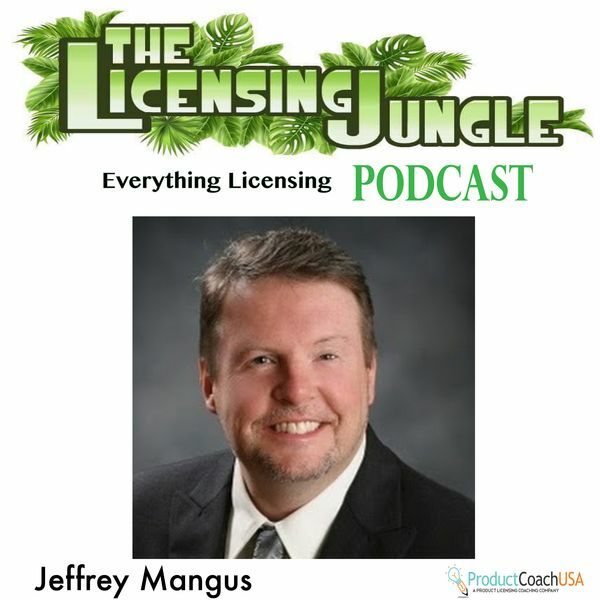 The Inventors Launchpad Network – Is proud to present The Licensing Jungle, Co-Hosted by licensing expert Mr. Jeffrey Mangus of Product Coach USA and Carmine Denisco, Managing Partner with Inventors Launchpad. As a Product Licensing Coach Jeffrey’s greatest strength is that he can simplify what you would like to accomplish into an easily implementable step-by-step plan. Helping you without the need to for him have extensive knowledge in your product or area of expertise because you are the inventor, the expert. Jeffrey’s expertise is in knowing the product licensing process, the inventing sequence and how to move people forward, which usually involves overcoming many common obstacles. Let this Podcast help you get over the bumps, steer clear of the sharks and get you where you and your product deserve to be. This Podcast is brought to you by the Inventors Launchpad Network. they would say and say hey you know mr.
Would you like to speak to a representative? Worked with them for about 3 years. They give realistic, reliable advice. Many inventors have unrealistic expectations, but I-Launchpad will gently guide them to what is reasonable and achieveable. One of my favorite parts of their service offerings: they can do lower-volume production runs. Getting things spec-ed out and built is hard, difficult let anyone tell you otherwise. I-Launchpad can get you there. Don't expect a cake-walk, don't expect "easy street", don't say "this invention will sell itself". For inventors with realistic expectations, I-Launchpad can be a great help. Best experience I've had with an invention company. No pressure, walked me through the process and ended up with a great product delivered exactly as promised. I would highly recommend. I had a very constructive discussion with Rick Valderrama followed up by emails. He was very informative and helpful. He is a source of knowledge in terms of product development and commercialization. I would recommend him to any inventor looking to bring their product to the market. I called when I needed help with my invention, these guys were great! They helped me bring my product to market and made it so easy for me. Love these guys, highly recommend using them! When HSN asked me to lower my cost by 50% they recommended I contact Inventors Launchpad. They redesigned and manufactured my product in a way which reduced my cost by 80% allowing me to get a PO from HSN. They are truly experts and recommend them to everyone. What an amazing company! It is such a blessing to know that I can take any of my inventions there and get them made. They straight up tell you how the industry is and find you the best prices. I am very pleased with my experience from start to finish. Thanks guys! These guys are GREAT to work with! They have great connections to potentially help you bring your product to market and they walk you through every step! Highly recommend working with them. They are easy to work with. My product turned out great. They deal with the manufacturing process so you don't have to. I was motivated by the Shark Tank TV show. Got an appointment and talked to Rick about my idea and my big dream. What a great experience and a fantastic conversation with Rick. It is not impossible to carry out a dream with an invention or just a little idea..Love this company who knows what they are doing and they are passionate about! These guys get inventors!!! Hands down, the best program for getting fresh, relevant content for anyone who's ever dreamed of launching their own big idea. As a Patent Attorney, I have seen a lot of arm-waving and posturing in this industry, but when it comes down to actually performing and providing content, the majority fall short. These guys are legit. Keep up the good work. Great TEAM! Looks like our idea will be a product soon! EASY GUITAR PLAYER -WE ARE EXCITED ! Very professional! My experience with inventors launch Pad was amazing Rick is so personable and very professional. He takes his time to understand your idea your goals and your business expectations. He sets the platform for you to understand each step within the process of your invention and is very open and inspiring for you to take your ideal to the next level. Highly recommend HIGHLY!!! Great, honest company and the people there are amazing! Great to finally find a company that inventors can trust. Great experience! I highly recommend Inventors Launchpad if you’re serious about bringing your invention to life. They are awesome!! I recommend them to anyone!! Always there to answer any questions and they definitely make you feel comfortable with the whole process!! Very trustworthy!! Rick and the team at Inventors Launchpad are awesome! They take the time to understand your project and truly suggest what is best for you, whether it be with their company or not. That's a rare trait to find in this industry. These guys will be getting my future business! The team at Inventors Launchpad walked me through the entire process. I started out with just an idea, they started with a beautiful 3D animation then turned it into actual product I can show to retailers. I wasted so much time and energy with other invention companies and they made it easy. Very honest group of people and never hyped up my invention. I saved thousands of dollars and months in time. Inventors Launchpad's process makes so much sense. I have taken 2 products to market, ILP is helping me with my third. wish I met them before I started the previous items. The Most honest, capable and knowledgable company I have ever worked with.....Do not waste time looking around just get started on your Product or Invention with Rick and his Team. Great Experience with these guys, Had an idea and received many quotes to make my Invention and in the end these guys did better, faster and at a price that allowed me to follow my dream. Love your podcasts, especially the one I just listened to with Joel Wohl, "King of Amazon", being interviewed by Karina and Jared Rabin, of The Pitch To Get Rich! Inventors Launchpad is the perfect solution for any inventor who wants to bring their idea to reality. We've helped thousands of startups get funded on Kickstarter and Indiegogo, and have seen many mistakes and challenges faced by them when getting the actual product made and manufactured. Inventors Launchpad offers a powerful solution that provides entrepreneurs and inventors with the experience and guidance needed as well as a very affordable model to take their ideas to the next level. We have trusted them with many of our clients and couldn't be happier with their service. Very knowledgeable about there business. Great guys really helped me out , can’t wait to do business with them again in the future. Inventors Launchpad cut my bottom line by 30% almost immediately and has successfully managed my supply chain since then. I highly recommend! My wife and I had an idea for a product but did not know how go about getting it in front of someone who would help us bring it to life. We met with Rick from Inventors Launchpad and he was an amazingly helpful and very knowledgeable of the industry we are trying to get our product into. They have helped us with manufacturing, distribution and marketing. Anyone who has an idea that they want to bring to life should most definitely come and speak with Rick and his team before hand and take advantage of their expertise! Thank you to the whole Inventors Launchpad team for all their help and we look forward to working together on our next projects! Very professional and informative. I highly recommend attending their events. Inventors launchpad is helping me get my dream idea into production. The team has been so patient and understanding as life issues have tried to slow me down. Rick and Sergio have really offered so much support and have brainstormed ideas for me to get my motivation back and keep me pointed in the right direction. I look forward to many productive years together. Thanks for everything so far! I recommend this company to anyone with a dream that needs guidance on putting it into reality. Mr. Rick Valderrama is awsome and very useful his advise and help. And they keep helping a lot of people. God may bless him and his partners too all the time. Blessings. We have been working with Inventors Launchpad for approximately 8 months and are very satisfied with their work. They are very responsive and really seem to care about us and our new invention. I highly recommend this company to anyone that is starting the invention process. From my conversation with Rick I found him to be up front and genuine. Even though his company could not assist me because of my own advancement in the process, I appreciated him telling me up front. His offer to tell some of his angel investors that might be a better fit went a long way in my feeling about his character. Thanks Rick and continued success. Launch pad has already In just the past 48 hours over exceeded my expectations. Rick personally in my opinion is Driven and exceptional at what he does. I strongly recommend this company of your inventor as well as business needs. Being new to the product development & invention world, I was very cautious when trying to find a legitimate company to get my product going.I’d spoken to another company that made big promises but something felt off. I dug a little deeper into that company to find out it was a common scam in the invention world. Thankfully I hadn’t spent any money yet.Then I found Inventor’s Launchpad, read their reviews & watched their videoes. After my initial conversation with Rick Valderrama I felt confident he is the real deal & has the best interest of his clients at heart. He is very upfront about everything, doesn’t make huge promises & offers tons of resources to further the project. And he’s always available to talk, he’s given me & my team so much valuable knowledge & encouragement to keep pushing forward. My invention isn’t up & running yet, due to the amount of money it will cost to start. But I know up front what the costs will be, there have been no smoke & mirrors. However, Rick & his team are still working with me to get smaller projects going to fund my major project. Nothing is easy & anything that’s worth doing will have bumps in the road, but I’m certain we’ll be successful with Inventor’s Launchpad. Rick was great. There was no pressure about needing money to talk first. He gave me great advice and other potential resources to start my path of being an inventor and more importantly a business. But the best part was it was free. Thanks again Rick. Great team! Rick is really down to earth and helpful. © 2019 Inventors Launchpad. All Rights Reserved.